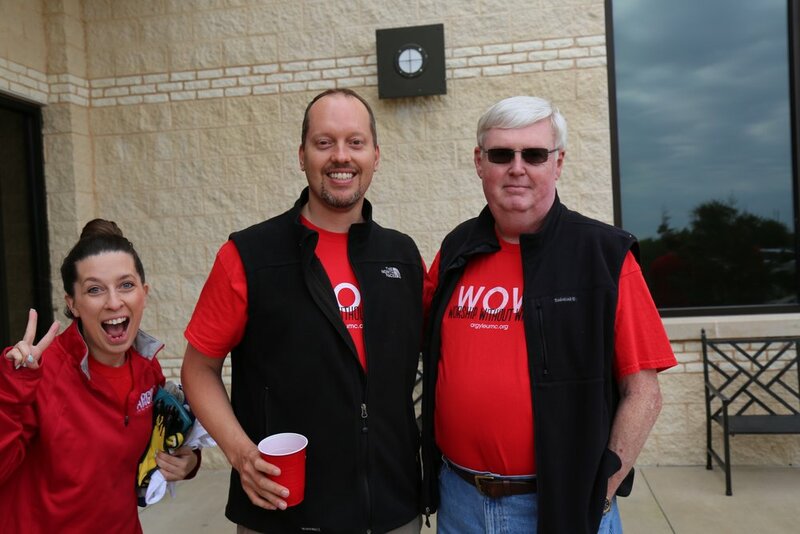 Join us for WOW 2019! Argyle United Methodist Church was founded in 1894 and has been dedicated to changing the world one life at a time for over 120 years. Through discipleship, they have created a body of individuals who are compassionate, authentic, generous, disciplined, and servant-hearted. They offer several different services to the community, life groups for those in need of community, and classes for those who are interested in learning more. For more information, visit argyleumc.org or call the church office at 940-464-1333. 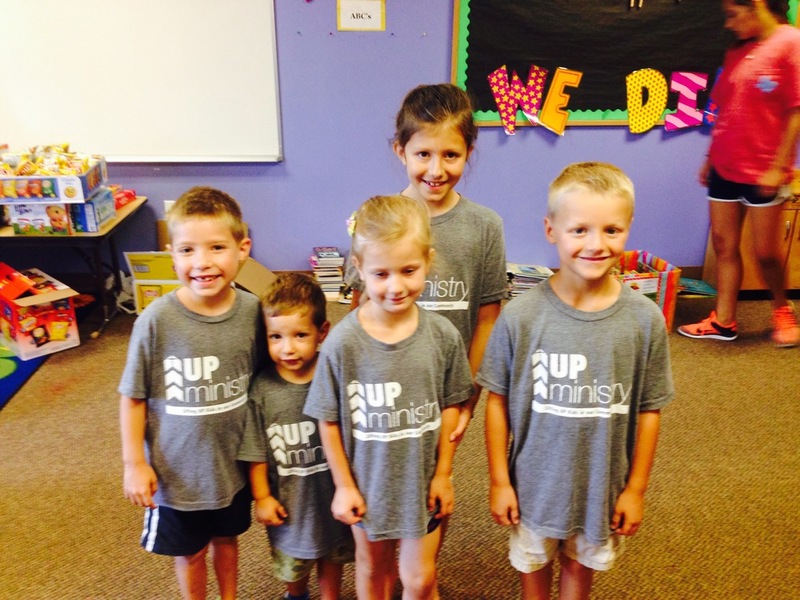 UP Ministry has been providing lunch to local kids during the summer for a few years, but are answering the call to meet a new need. 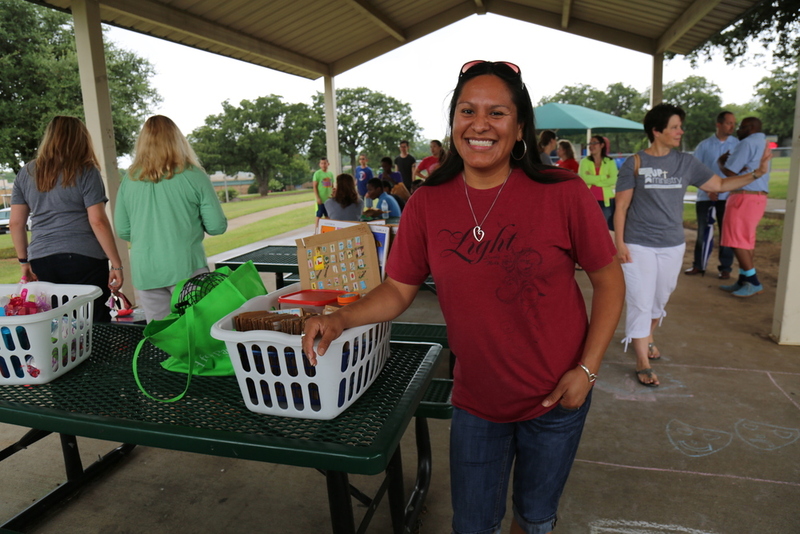 Fuel Up discovered that Denton Parks and Recreation centers are providing an all day camp and hot lunch for the kids, so Fuel UP is now preparing snack packs for the kids to pick up and take home after camp on Wednesdays. The items listed in this sign up will go in packs along with the nonperishable items that have already been donated. Please view the sign up to see if you there is an item you can donate. 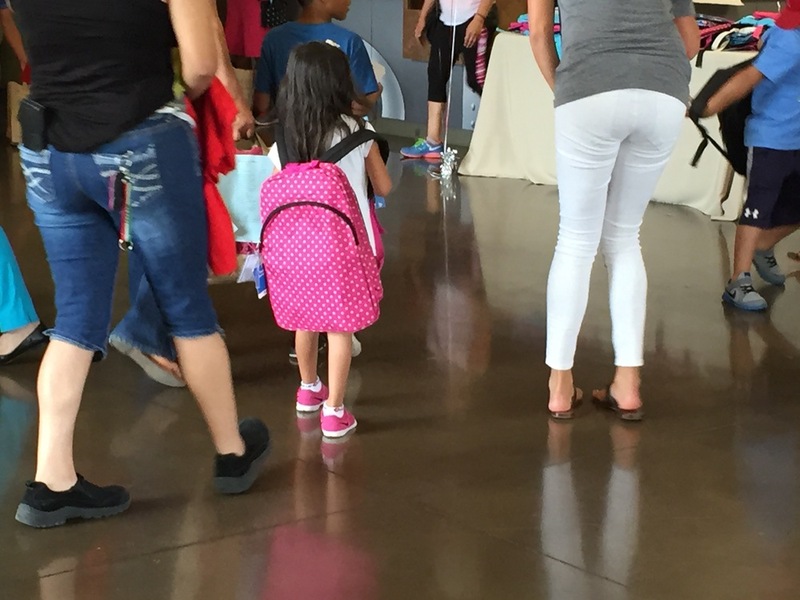 This is our annual school supply & uniform drive that occurs at the end of every summer. Learn more about 2018's Gear UP HERE! 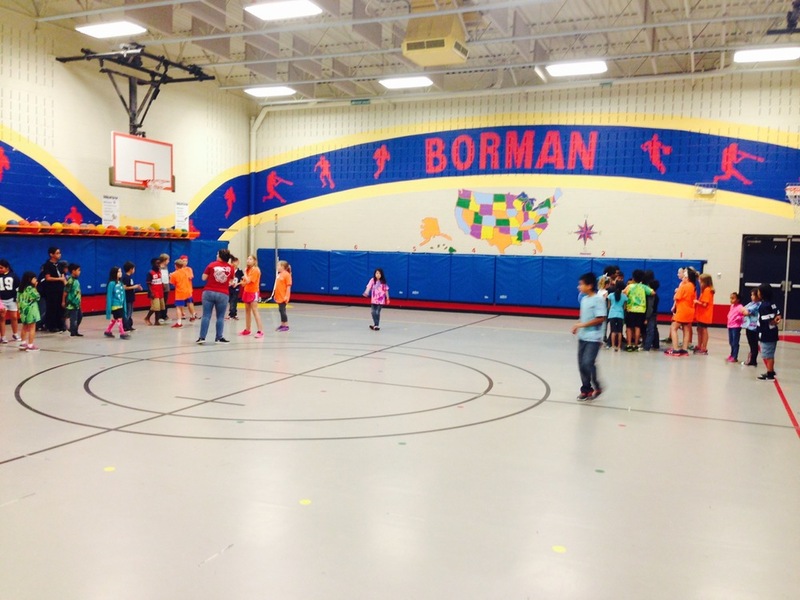 Borman Elementary students wear uniforms every day to eliminate the distractions and insecurities kids sometimes associate with what they wear to school. UP ministry provides these uniform items each year at the beginning of school and then, again, when the weather gets cooler. 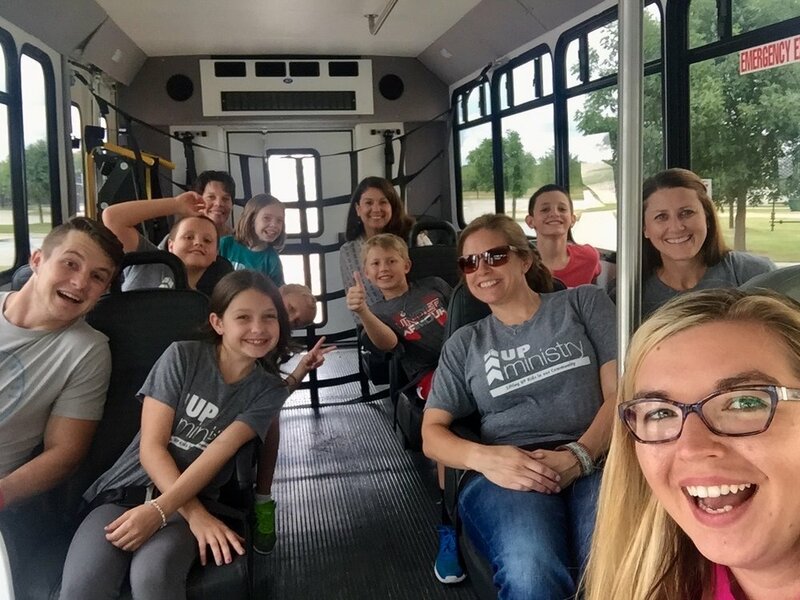 Every summer, UP ministry partners with the Argyle UMC Youth to put on a week-long summer camp for at risk kids from area schools. The need for mentors in our local schools continues to grow and UP ministry is now looking for mentors and study buddies to UPlift kids in our community! Opportunities are available in multiple schools throughout Argyle, Denton, and now, Lantana. For 30-60 minutes each week during the 2018-2019 School Year, you can be a mentor or tutor to a student and make an impact. We assist children in both Argyle and Denton with Christmas needs and wishes. At Christmas time, stop by the church Christmas tree to grab an Angel to purchase items for an Argyle student or an Ornament to purchase items for a Denton student. Methodist Children’s Home is a non-profit child care ministry affiliated with the seven United Methodist Annual Conferences of Texas and New Mexico. Founded in 1890, the Home serves more than 1,000 children daily through residential care, a Boys Ranch, foster care and a college program. Since the 1890’s Methodist churches have generously contributed their Annual Christmas Offering as one source of financially support for the orphanage. UMCOR (United Methodist Committee on Relief) is the humanitarian relief and development agency of the United Methodist Church. Compelled by Christ, UMCOR responds to natural or human made disasters—those interruptions of such magnitude that they overwhelm a community’s ability to recover on its own. UMCOR’s mission is to alleviate human suffering. We provide practical, proactive support to the most vulnerable survivors of chronic or temporary emergencies due to natural or civil causes. One of the ways UMCOR responds to the needs in our country and around the world is by supplying cleaning and health supply kits to areas hit by tornado, hurricane, flooding and earthquake. AUMC members contribute these supplies for shipment to UMCOR Sager Brown Supply Depot in Louisiana. The UMCOR Sager Brown Supply Depot in Louisiana offers volunteer opportunities for all ages to come to the center to assemble and pack the kits ready to ship to disaster areas around the world. Volunteers wishing to help in this way please contact Wired 4 Service at W4S@argyleumc.org for more information. The Argyle Food Bank is located within First Baptist Church Argyle and has volunteers from Argyle United Methodist Church, Church of Christ, Cross Timbers Community Church, Faith Harvest Church and First Baptist Church Argyle. Each church also contributes by hosting food drives throughout the year. AUMC conducts two food drives each year, with each drive supplying a one-month inventory of supplies (2,000 lbs.). Of course, donations of non-perishable supplies are accepted at any time of the year. Paul Lumpkins, at 940-464-7224, may be contacted with question regarding donations and assistance. Request additional information about serving with this organization. Mission: To provide justice and healing for abused children through interagency collaboration. Our criminal and civil justice systems (designed for adults) can inadvertently add to the suffering of child abuse victims and their families through lack of coordination and cooperation among the agencies involved in this process. 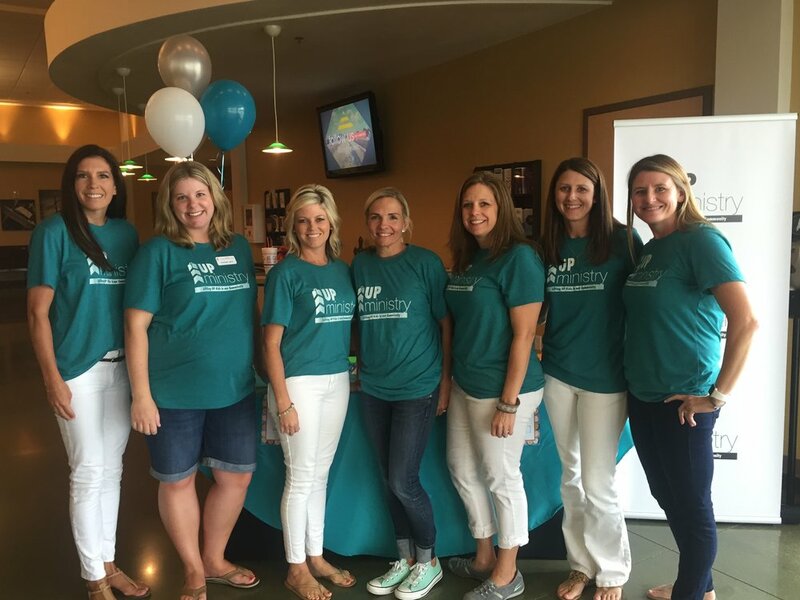 AUMC provides volunteer support and raises funds for the Children’s Advocacy Center for Denton County. Health Services of North Texas, Inc (HSNT), is an organization that is continuing to evolve to meet the needs of low-income, medically underserved individuals in North Texas. The acquisition of the Denton Guardianship Program and The People’s Clinic has opened HSNT’s services to wide array of underserved persons living in Denton County. Denton County currently carries a Governor’s Designation as a Medically Underserved Area. With only the HSNT Community Clinic and the Health Department, there are serious gaps in access to health care that impact the health and wellbeing of the entire community. HSNT cares for people who otherwise would have no place to go for affordable health care. 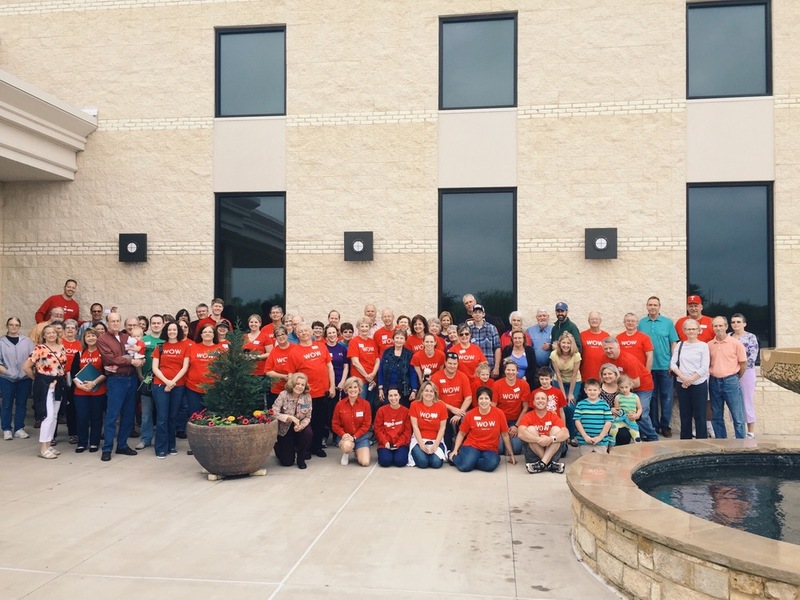 Hearts for Homes is a Christian-based outreach ministry dedicated to providing no-cost home repairs to low-income elderly homeowners in Denton County. AUMC will provide funds, supplies and volunteers. Our Daily Bread, a soup kitchen, serves a noon meal at St. Andrew Presbyterian Church, Denton, Monday through Saturday of each week. This broadly-based ecumenical endeavor, reaches out in Christ’s name with people from diverse churches in the community. 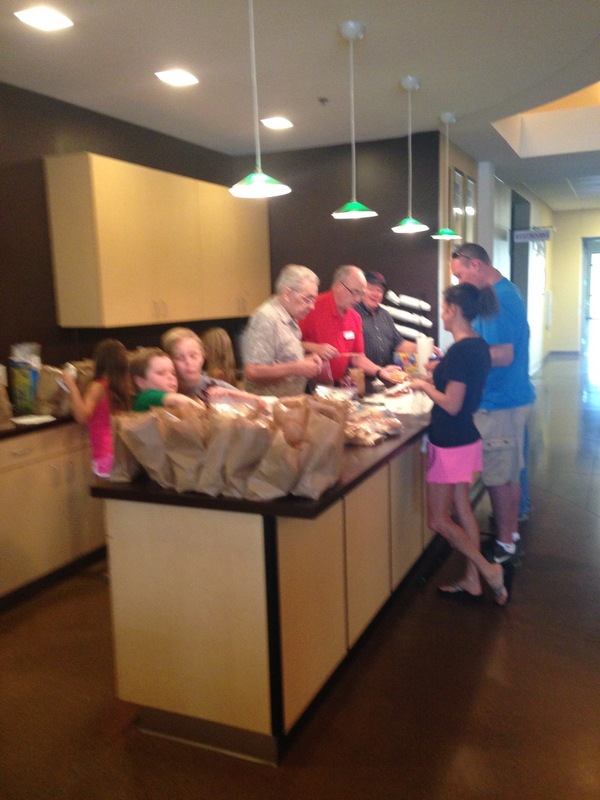 AUMC members regularly volunteer with meal preparation and serving as well as donating food and supplies. Saturday Lunch Preparation, Serving, or Dishwashing, 10:00 a.m. - 1:00 p.m. 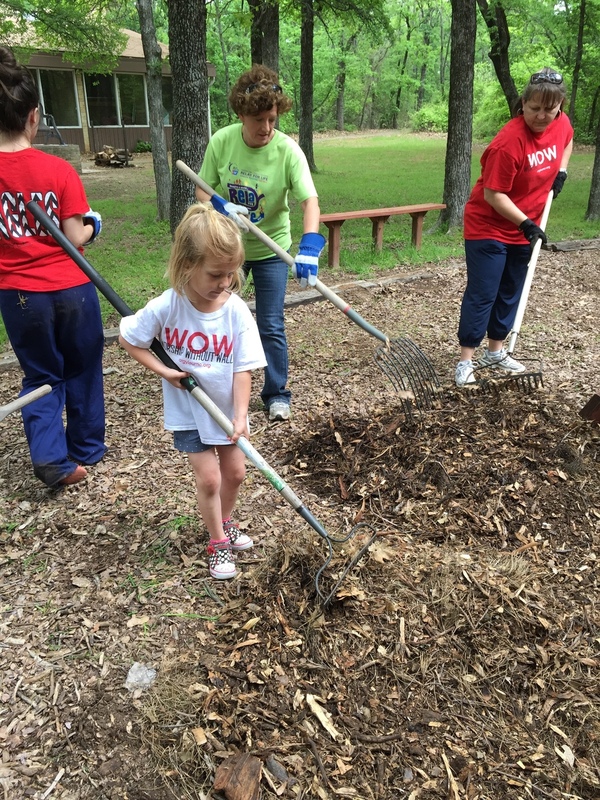 Perfect for groups of 10-15 volunteers. Assist with preparation, serving, and dishwashing- duties may include chopping and general food preparation, as well as serving meals, drinks, and desserts. Working in the dishwashing area might also include loading and unloading trays, silverware and cookware from the sanitizer and returning them to their proper places. Please be prepared to stay the entire shift. Disclaimer of Liability and Endorsement: the businesses listed on our site come from a variety of sources. Efforts have been made to provide complete and accurate information. Any reference/service obtained from this site to a specific company, commercial product, process or service does not constitute or imply an endorsement or recommendation by AUMC of the company, commercial product, process or service. As God’s children we are all wired for service. God is calling each of us to serve, but sometimes we don’t know where to start. We invite you pray about the ways God may be calling you into mission and service and be part of the “one-life-at-a-time” mission of Argyle UMC. The first step in growing deeper in faith through service, if through relationships and our core team wants to get to know you and your passion. Maybe engaging in the story of Jesus’ walk to Emmaus during worship will inspire you to take the next steps in your own faith journey. Maybe participating in community misison work with your family will help to quench your thirst to give back to our neighbors. Or maybe you sense that Vacation Bible School or an introduction to our youth group is what’s missing in your child or teenager’s life. Whatever path you choose for your journey, know that hundreds others are seeking hope and healing—just like you— and that we are a community of faith committed to living and loving like Jesus. Argyle UMC is partnering with UNT to stock their food pantry for students in need. We will be collecting non perishable item for the month of September and help these young adults stock the year off stocked! » GET INVOLVED: Donate non-perishable items or funds. Our Daily Bread is a community soup kitchen that serves a free, nutritious lunch meal Monday – Friday to the hungry and homeless in Denton County and surrounding areas. To provide community and feed the staff and clients of HSNT near the Thanksgiving holiday. Church members provide homemade side items. The leaders purchase turkeys and hams. The team decorates the church in a festive theme. A few church members have picked up some people to and brought them to the event in the past few years. God’s love is shared and celebrated. » GET INVOLVED: Be a team leader, provide food, or serve the evening of the event. 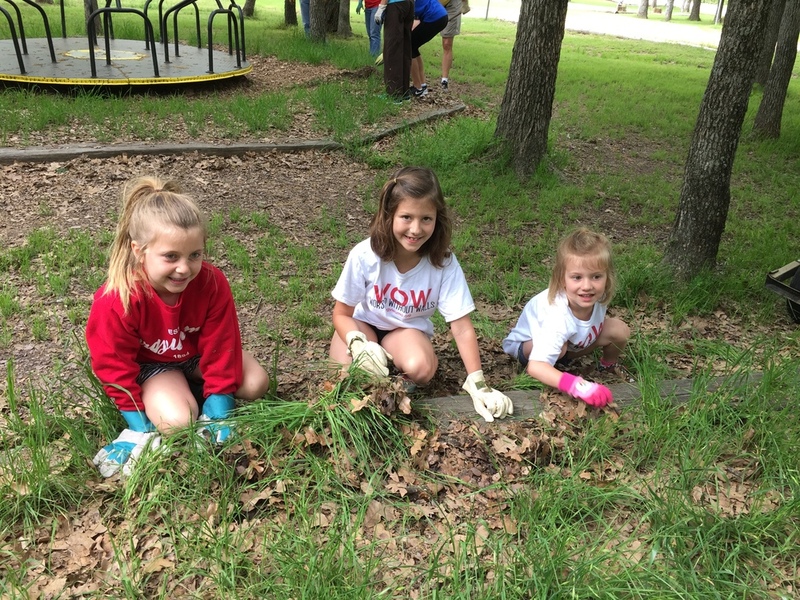 AUMC's UP ministry has volunteer opportunities available in Denton and Argyle. For 30-60 minutes each week during the 2017-2018 School Year, you can be a mentor or tutor to a student and make an impact. » GET INVOLVED: Mentor a child or serve on this team. 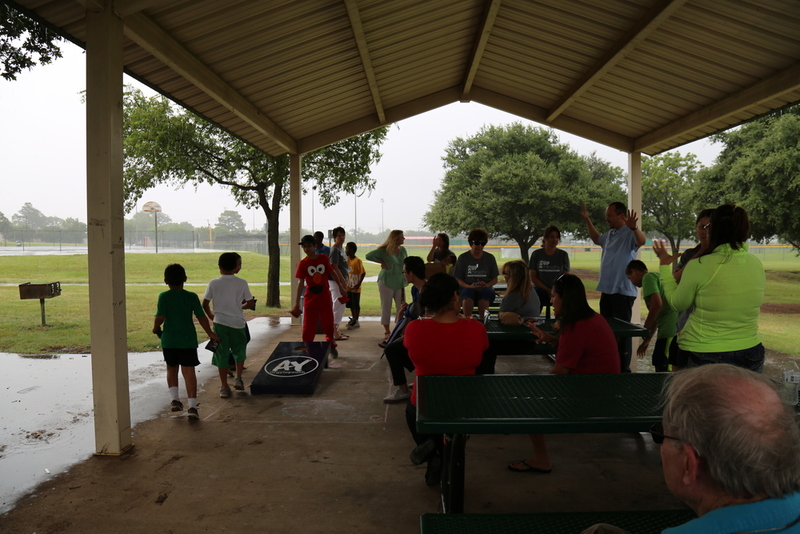 AUMC Youth plans and hosts a 4 day summer camp for at risk students in Denton ISD that are part of the Communities in School (CIS) program on-site at AUMC. » GET INVOLVED: Donations are accepted for food and supplies and high school and youth are encouraged to be engaged in the Argyle Youth Group so they can be a part of the youth volunteers. 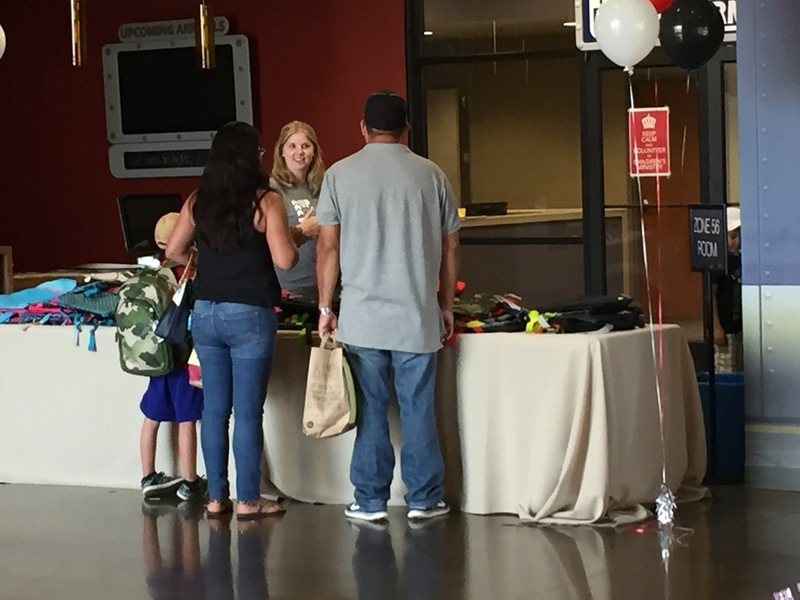 Argyle UMC attendees have the opportunity to purchase backpacks, school supplies and clothing for students for back to school. » GET INVOLVED: Join this team or purchase items. Serve by welcome, greeting and hosting new and returning guests during Sunday Morning worship services and other special events by offering a smile, engaging in conversation and relationship, and helping to create space for all to encounter God through our community. » GET INVOLVED: Serve once a month or more as a greeter, host, or an usher for a worship service hospitality team. Sunday School Teachers help to lead children and youth to explore the stories of Jesus and experience God in their life through prayer, crafts, activities, games and loving relationships. » GET INVOLVED: Teach, co-teach or help in a classroom on a monthly basis. Argyle UMC members can serve a few hours a week by assisting the administrative team and functions of the church office, answering phones and welcoming guests on week days, and providing helpful support to the administration team. » GET INVOLVED: Offer a couple hours during the weekday when you can. Please email our team at W4S@argyleumc.org to begin conversations with our core team and mentors about how you can be part of God’s kingdom work. Group of women & men who make quilts for our precious babies being baptized. Meets the first Monday of every month from 9:30-11:30 am in Portable 3. Contact Marguerite Rose at mr@sewingrose.com for more information. Meets the 2nd Wednesday of each month in Portable 3 at 10 am. Yarn is supplied and anyone who knits and/or crochets (or wants to learn) is welcome and encouraged to join this rewarding ministry. We make shawls that are prayed over and given to those who need the comfort and love of Christ. Contact Ginny Rodgers at volunteers@argyleumc.org for more information.